When you’re attending classes or meetings and you need to take notes, our corporate promotional journal books could be just what you’ve been searching for. Available in a range of sizes and with a choice of hard or soft covers, you can rest assured that a Novel Tees personalised branded notebooks in Melbourne is the perfect size to carry under your arm, throw into a handbag or stash in a backpack. 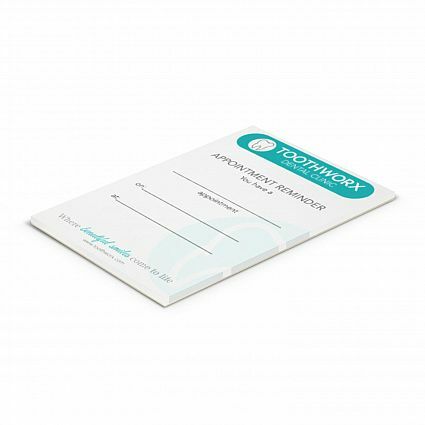 We have a wide range of branded notebook sizes to choose from, ensuring that you can find one large enough to meet your note taking needs yet small enough to fit into a bag. Popular sizes include A4, A5 and A6. 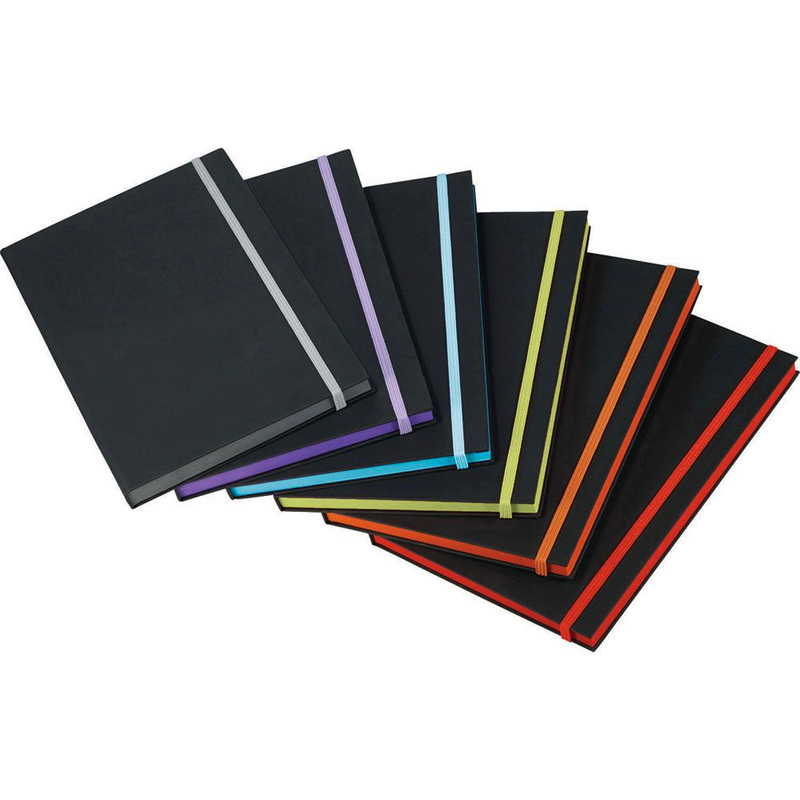 We also have a wide range of covers to choose from, including soft and hard covers, to ensure that your custom journal receives the protection you desire. 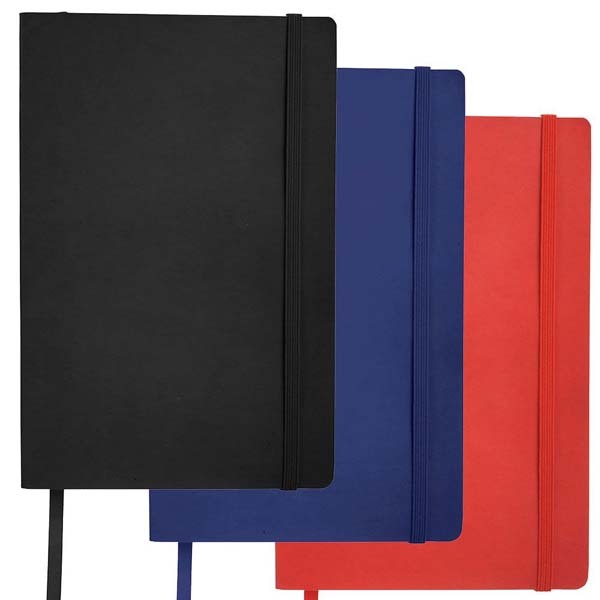 For something a little different, we recommend our moleskin cover range. Are you the kind of person who needs lines in order to write in a straight line? Or do you need blank sheets for doodles and sketches? Novel Tees can accommodate both needs with our range of corporate promotional notebooks in Melbourne, Sydney, Brisbane, Perth and beyond. To ensure that your notes remain private, many of our custom printed journal books also feature methods of keeping the cover closed. These include elastic, magnetic, zippered, tab and loop, and press stud closures. What sorts of materials can custom printed notebooks by made with? We have a wide variety of materials to choose from, including: moleskin, recycled paper, carbon fibre, plastic and customised leather journals. Do personalised notebooks have any other features? 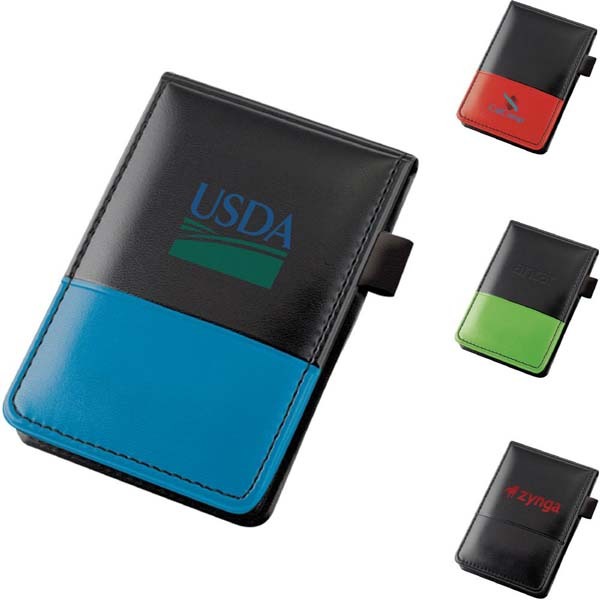 Depending on the corporate branded notebooks you have selected, it may also offer an elastic loop to store a pen or slots to hold business cards. 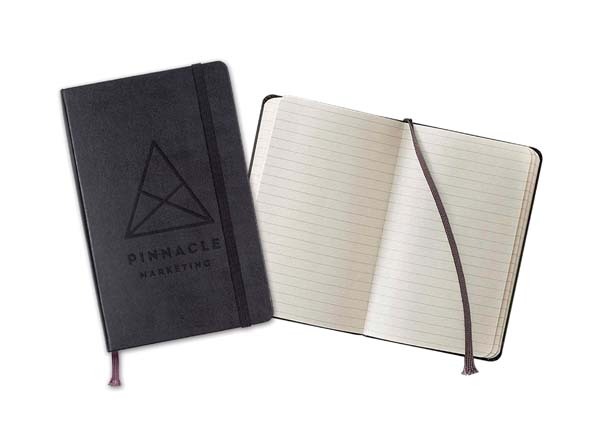 We also offer promotional notebook gift sets.